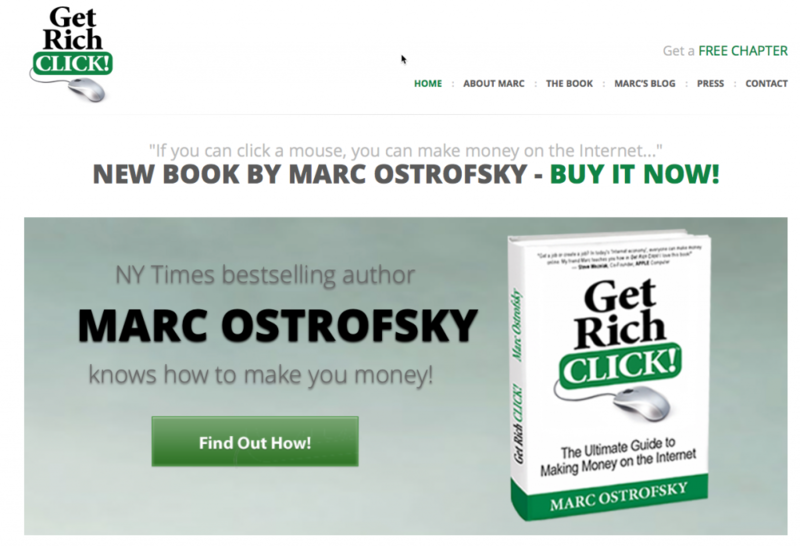 Back in 2011, when I was writing for MO.com, now BusinessInterviews.com, I did an interview with Marc Ostrofsky just prior to his release of his book Get Rich Click. I’ve followed Marc on social media since that time. A quick Google search of “Marc Ostrofsky” will tip you off as to what an interesting guy he really is. Mike: I first heard of you back in the late 90’s when you made history selling Business.com. The story injected me with excitement about the internet and technology. When did you first realize that domain names were going to be such an important part of business? Marc: Without a doubt, the media and PR around the sale of Business.com absolutely CREATED or had a very strong impact on the domain name resale market. I managed to get National and International publicity for that deal….and things took off from there. But, even I had no idea how big that oil well was going to be…and even sold off a few very big domains for a very small amount relative to what they would have gone for. 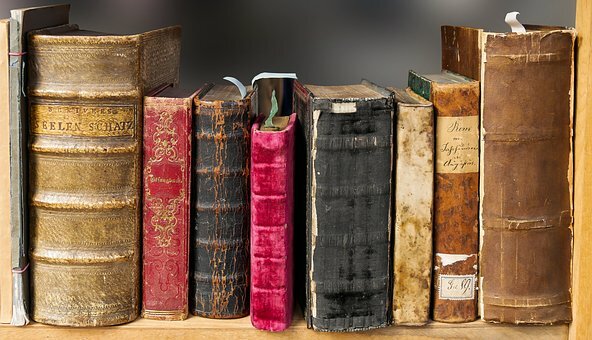 Mike: You’ve written two books: “Get Rich Click” and “Word of Mouse.” What was your inspiration for writing theses books and sharing your knowledge? Marc: Get Rich Click is about the many creative ways entrepreneurs have found to make money online….affiliate marketing, SEO, eBay selling…100’s of ways, certainly not just domains. Word of Mouse is about all of the trends changing the way we buy thing, sell things, work and do our jobs, play, communicate and other trends that affect us in our daily lives. They are very different books. Mike: I once read an article where you talked about running a business on one of your domains with no inventory. A pure drop ship model. Is that a repeatable platform and what’s the best way for someone to learn to replicate that type of model? Marc: Yes, it’s a VERY cool way to make money. I call it “making money with no money” and it’s totally possible to do it these days. Say you have a friend selling a car. He tells you it’s listed for $7500 but he’d take $6500. You ask him if you find a buyer, can u keep everything over $6500? 4. There are 100 different ways to do this. You find a supplier that is SO INEXPENSIVE, you believe you can sell their products for more profit than they are asking. Either way, the item was sold AFTER you collected your money! I recently bought 2 pairs of reading glasses on eBay….delivered from China to my front door, for a grand total of $1.98. DELIVEREY INCLUDED! Whether it’s buying an item VERY cheaply…or selling it from a photo and then fulfilling it AFTER you get the money….a profit is a profit. Mike: You’re a successful business owner, board member, author, speaker. Looking back at a 2011 article on dnjournal.com, I see photos of you with everyone who’s anyone and you’ve had some high profile business partners. What is one lesson that you have learned or one piece of advice that you can pass on to the rest of us looking to succeed in domaining or entrepreneurship? 1. Very Successful people have one MAJOR different model…..
2. HIre your weaknesses. We can’t be the best at everything…do what you love and hire better people to do what you don’t want to do. 3. Hiring one $120,000 person is smarter than hiring two $60k people….and it’s less costly due to all of the overhead and headaches in people management. 4. Most of the Money is made on the “buy” side. Buying VERY low is a real key to many millionaires becoming that way. 5. Good ideas sell. It’s not hard to raise money if you have a great idea that can be domonstrated. 6. Don’t be the guy that says “I need your money…but I’m going to keep my day job just in case it doesn’t work”. WHY would any smart investor invest his money…when you want to “hedge your bet”? You get 100% of my money…you need to put in NO LESS than 100% of your heart, soul and future bet on your income. It’s amazing how many people want to build their business with OPM – other peoples money – yet they don’t even want to put in 100% of their time. Smart money says “no sale”. Mike: What is your perspective on the newer TLDs that are available. Do you invest in them? Do you suggest them to others? Do you have a favorite? Marc: I don’t like the new TLD’s. By far, the biggest winners are those that are selling this to the public. 99% of the people typing in say “eTickets.ticket” will type in eTickets.ticket.com. It’s a f-ing mess and won’t be solved for years to come. Mike: What are you working on these days? 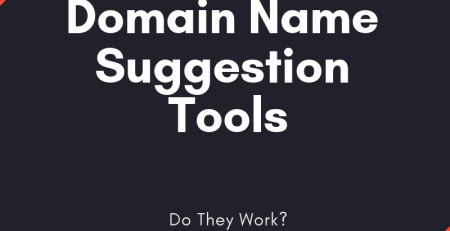 Marc: Always looking for ONE thing…a company or individual that can take a wonderful domain name…and turn it into an income producing business. I own CuffLinks.com – a wonderful small business that own’s its niche. Nicely done. Simple logic for success.